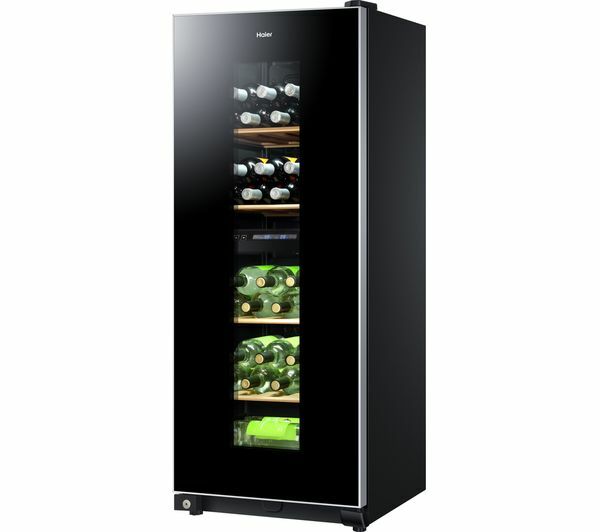 Keep bottles of red at optimum room temperature levels while bottles of white, rose and champagne stay perfectly chilled in your Haier WS46GDBE Wine Cooler. 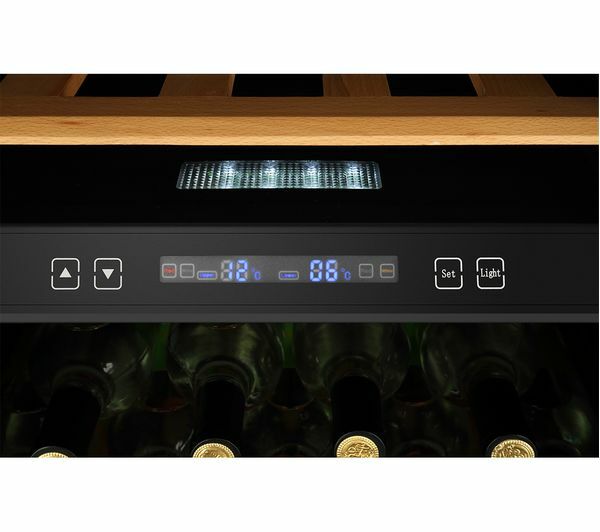 Dual temperature zones let you enjoy your preferred bottle at the right temperature for long term storage and the best taste. 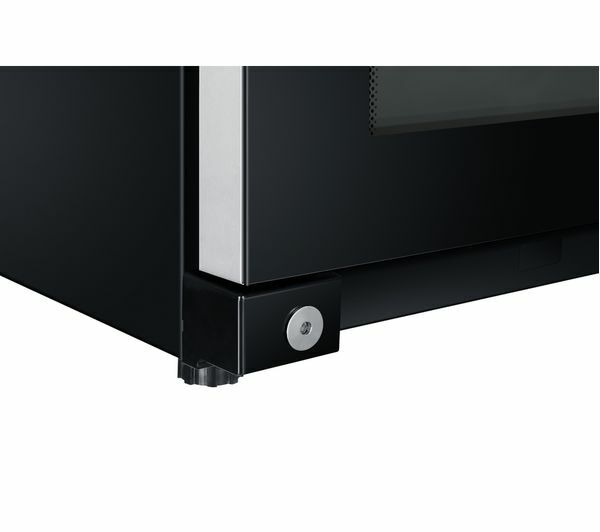 The WS46GDBE keeps your precious wine collection safe from vibrations that can easily disturb sediment and affect the taste. 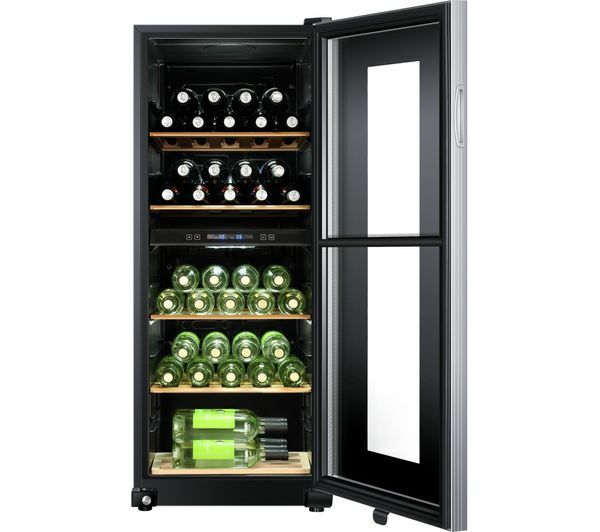 Its low-vibration compressor ensures each bottle is kept as still as possible. 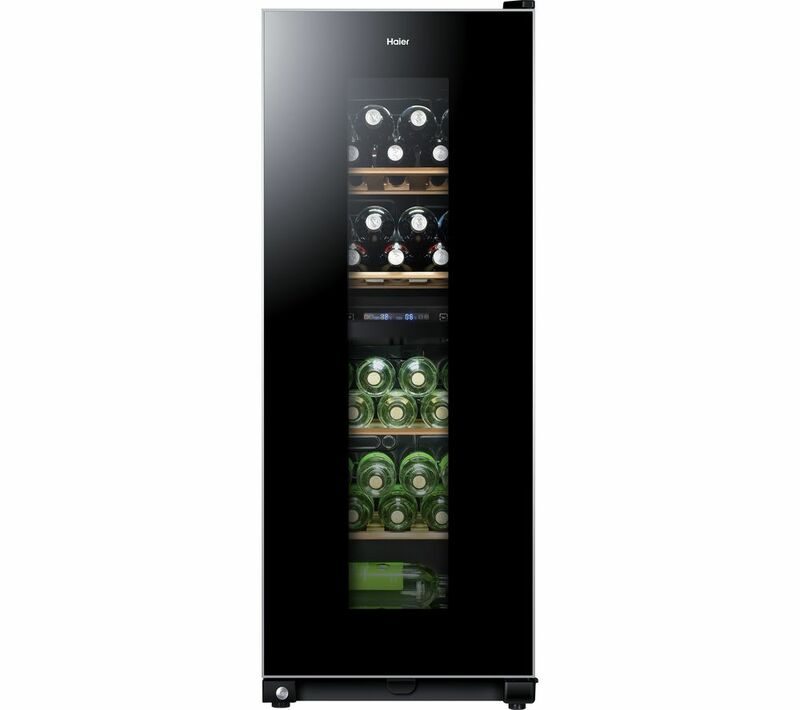 A carbon filter ensures that the air inside the wine fridge is as pure as possible so that wine stays in top condition. Five wooden shelves add a touch of elegance to the wine cooler, letting you display your wine with pride. They're adjustable, so you can store your bottles conveniently. Door hinged on right: Door reversal is not available on this product - please don't select door reversal service when adding this product to your basket. Wouldn't work from day 1not happy! !